It seems the rumors are true. 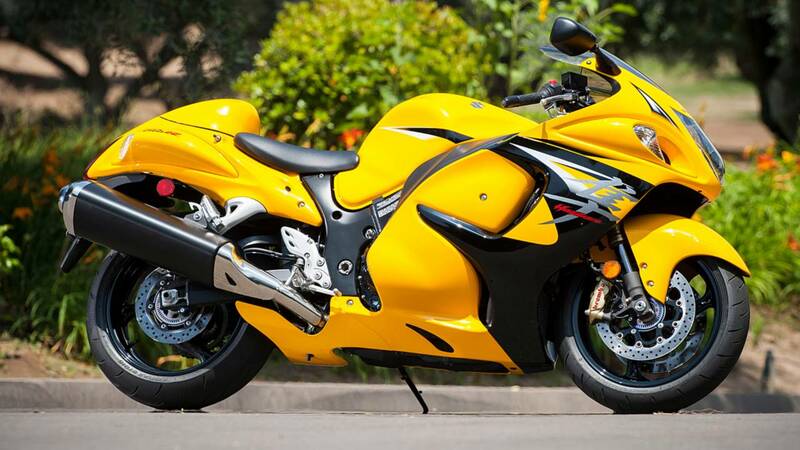 After a 20 year run, Suzuki is discontinuing the Hayabusa, its iconic sportbike with controversial styling that held the title of fastest motorcycle in the world for quite some time. It broke the rules of sportbikes when came out and even made a few new rules of its own. The Suzuki GSX-1300R, also known as the Hayabusa, first rolled out of the factory as a 1999 model. The word "Hayabusa" is Japanese for the peregrine falcon, known for achieving speeds up to 200 mph when diving for prey. Its prey is often blackbirds, and by no coincidence, the Hayabusa was intended to beat out the Honda CBR1100XX Super Blackbird for the title of the fastest sportbike in the world. With a top speed limited to 186 mph, it was a good 10 mph faster than the Honda. At that point, in response to the escalating top speed wars and the fear of government bans, Japanese and European manufacturers agreed amongst themselves to a 186 mph top speed limit. This prevented the 2000 Kawasaki Ninja ZX-12R from unseating the 'Busa as a top speed demon, cementing its position as the fastest bike of the 20th century. 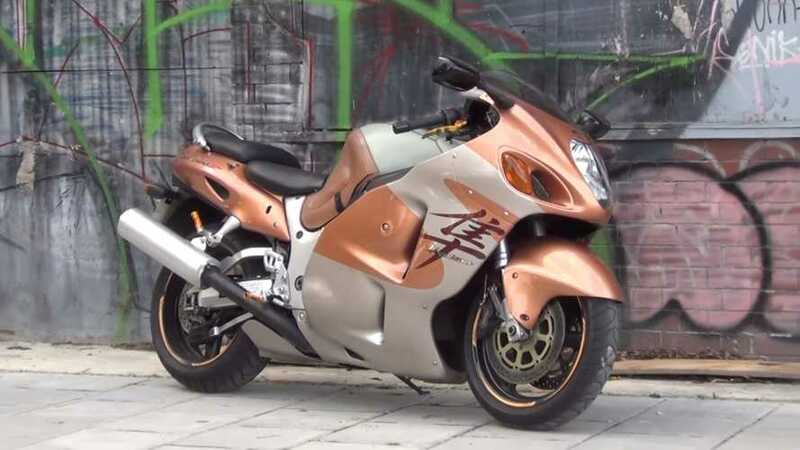 The Hayabusa achieved this through its 1,299 cc engine producing 173 horsepower in its original form, a figure that steadily increased throughout the model's run. Just as important as its power was its unique aerodynamic styling, which has been the subject of much criticism over the years. One can't argue with the results in high-speed performance, though. Its form absolutely followed its function, from maximizing how slippery it was through the air to its ram air intakes in the nose that crammed more air into the engine at high speeds. Its original copper-on-silver color scheme was not the most attractive combination, but more traditional colors became available over the years. The 'Busa received its first major redesign in 2008. 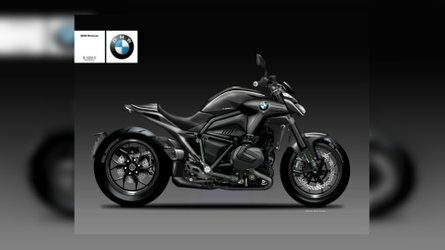 While it had a new look, it was still an evolution of the original bike under the new skin. The engine received a great deal of internal work to comply with tightening Euro 3 emission standards, and the new exhaust incorporated a catalytic converter for the first time. 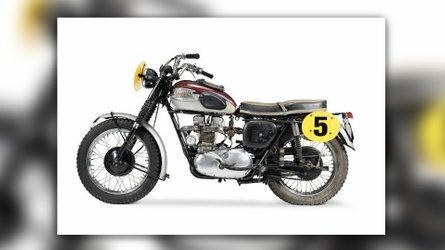 Displacement increased to 1,340 cc, and horsepower was up to 194. The brakes, clutch, and steering also received upgrades. Suzuki dropped the GSX-1300R designation and simply called the model the Hayabusa, which makes a certain amount of sense considering how different the 'Busa was from the rest of the GSX line. As notable as the stock Hayabusa is, it was also the basis for many upgrades and other applications. The factory never offered forced induction like the Kawasaki Ninja H2, but that didn't stop people from adding turbos, superchargers, and/or nitrous, which could easily boost horsepower into serious "stupid fast" territory. The 'Busa's engine also found its way into four-wheeled applications for its high horsepower in a small package with a sequential gear shifter. These ranged from sleek little sports cars to a custom Suzuki Swift. The Hayabusa had a good run, but European emission standards have once again threatened it. 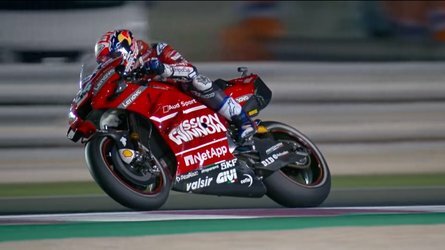 This time Suzuki decided to discontinue the bike rather than modify it to comply as it did in 2008. 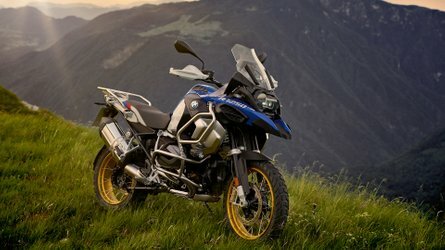 Since the bike can no longer be sold in Europe after this month, the final examples off the production line will be sold in the U.S. as 2019 models. All is not lost, however. While discontinuing the Hayabusa, Suzuki has also renewed its trademark on the name. The 'Busa may be gone for now, but perhaps sometime in the future, it will return to battle for top speed honors once again.